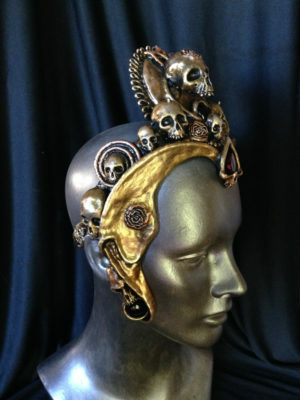 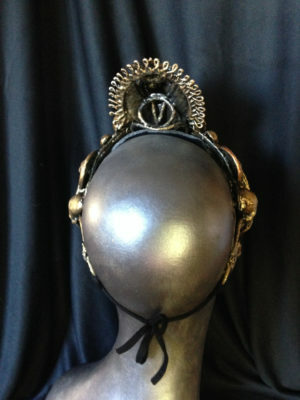 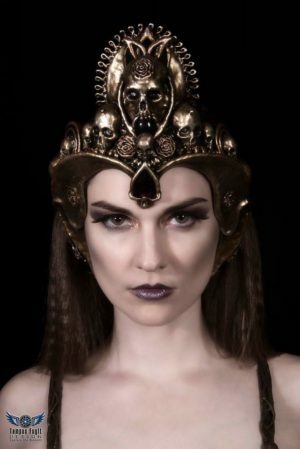 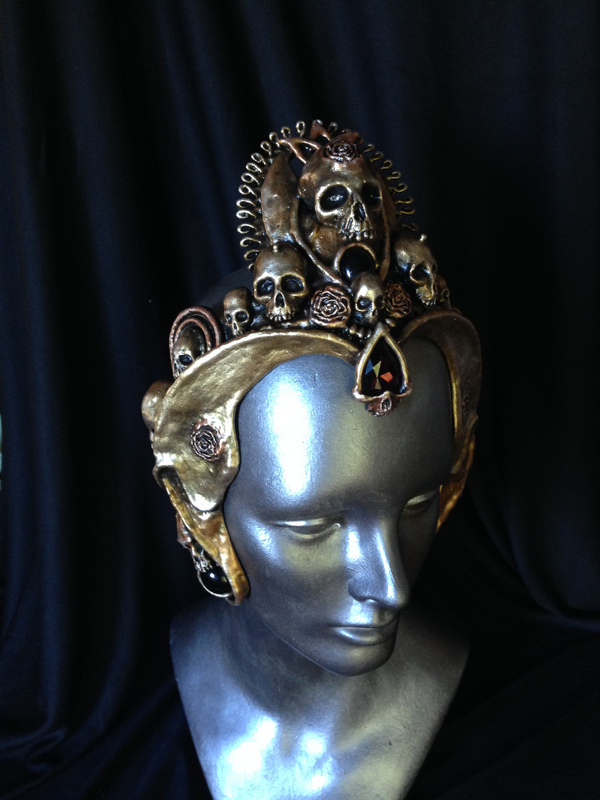 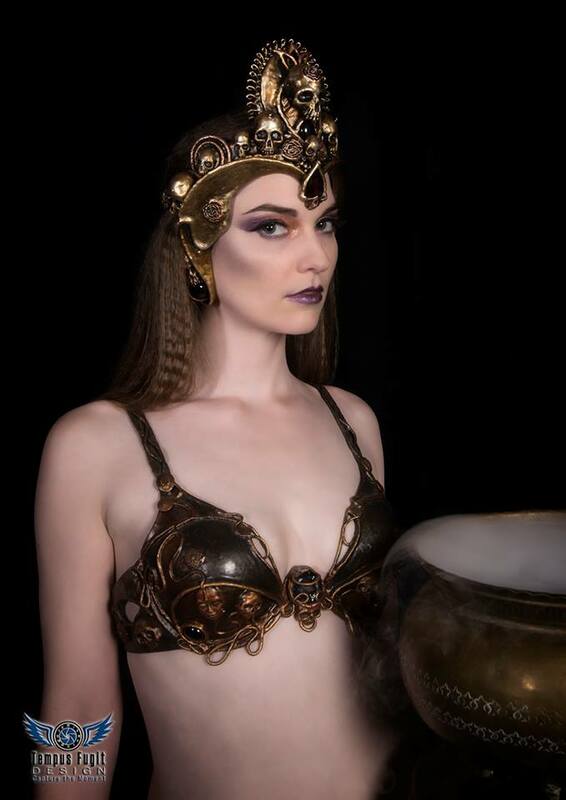 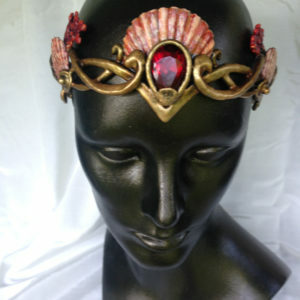 One of 4 new crowns celebrating the Queen of the Underworld in her fierce elegance. 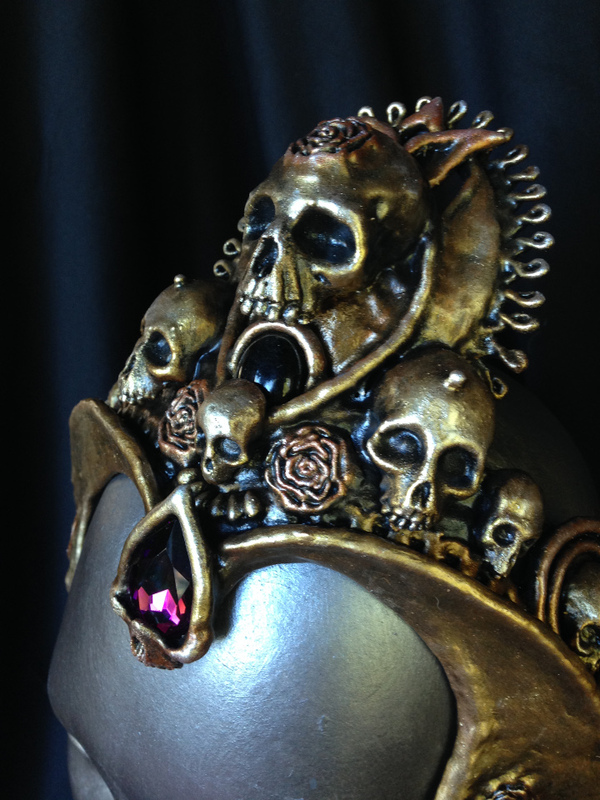 This one is gold with a sun disc at the top, set in a circle of ten skulls and accented with dramatic red crystal and glass stones. 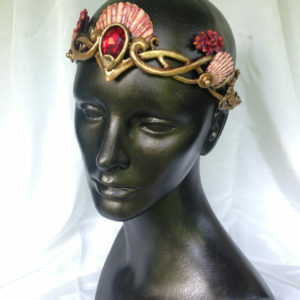 The sides frame the face gracefully.